Looking for something a little out-of-the ordinary this year? These Halloween costume ideas are a mixture of creative concepts, DIY challenges, and grab-things-around-the-house convenience. So, grab your dog, or your buddy, or even your baby, and get started! 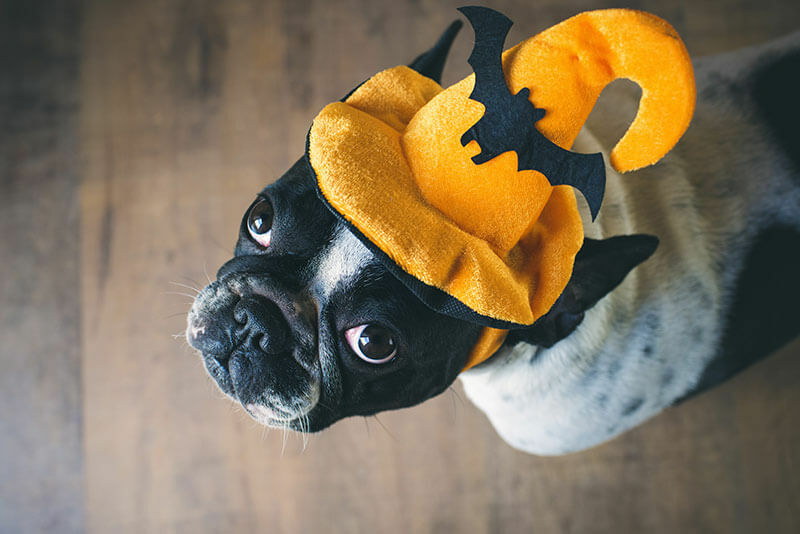 Dressed up in one of these costumes, you are sure to grab attention—and garner plenty of treats. With a baby – Follow these easy steps to sew your own mother/daughter mermaid costume, using only a few supplies that you may not already have around the house. Work some magic with this costume and go as magician and rabbit; for a twist, make the baby into the magician! With a buddy – Here’s a simple way to recreate La La Land’s adorable couple. With a little bit of planning, you and a friend would make the best pizza delivery duo ever. Bring out your inner millennial, grab a friend, and go out as the pair of dancing emojis. With a dog – Recreate ET and Elliot’s famous bike ride with your furry pooch. You’ll fit right into Colorado’s organic community as a dog-and-owner farmer’s market. Or, investigate the trick or treating situation as Sherlock and Watson. With household items – Grab some extra paper to turn your child into a snail. Rifle through some leftover arts and crafts to create a walking flower pot, or a full-winged bat, or a life-size container of mac-n-cheese. These costumes are simple, creative, and guaranteed to bring you plenty of tricks and treats. Happy Halloween! While out and about, Pradera residents can drop by one of Parker’s many great dining options for dinner and drinks this fall. Enjoy the beauty of the season by taking advantage of local parks, trails, and playgrounds.